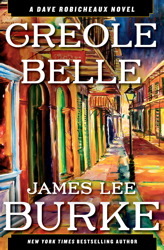 'My 31st novel, Creole Belle, is out today and I hope many of you will enjoy it. 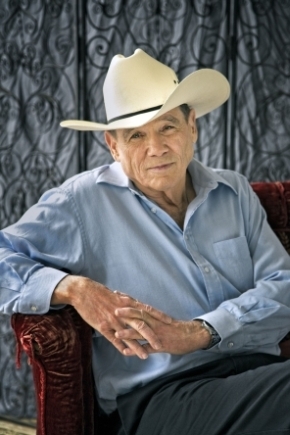 I think it's among the best books in the Dave Robicheaux series and in many ways it attempts to do things the other books haven't. It deals with a catastrophic ecological event and some of the geo-political issues related to it. It also introduces or re-introduces two of my favorite female characters, Gretchen Horowi...tz and Tee Jolie Melton. We also meet one of my favorite male villains, Bix Golightly. If I were asked why Bix is among my favorites, I probably couldn't answer, because Bix is a totally worthless human being and deserves any fate visited upon him. Maybe a better choice would be a new character we meet by the name of Ozone Eddy Mouton, who, along with his pal No Duh Dolowitz, became known as the Merry Pranksters of the Mafia. Ozone Eddy was kicked out of a low-bottom 12-Step Group known as the Work the Steps or Die, M-F meeting. Much of the book is allegorical in nature, or at least that was my intention. I think it's a pretty good story, though. Please tell me what you think of it.